You have been chosen to join the Hogwarts School of Witchcraft! Experience your own adventure in this new role+playing game in the wizarding world, years before Harry Potter receives his letter from Hogwarts. Explore places never seen in Hogwarts Castle and investigate ancient mysteries. 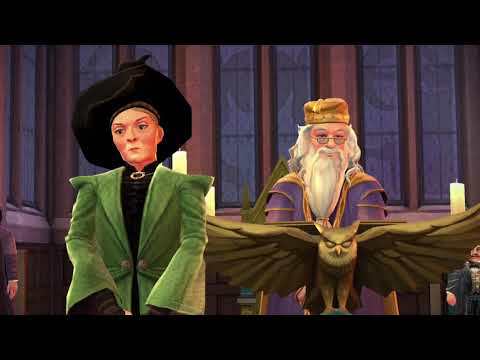 Learn powerful spells from teachers Dumbledore, Rogue, and others. Compete against rivals and forge alliances with new friends to help you on your adventures. + Take classes to learn and master magical skills such as casting spells and creating potions. + Unlock new characters, spells, potions and places as you progress from year to year at Hogwarts. + Use your magic skills to investigate the mysteries of Hogwarts. + Discover the truth about the cursed cellars and the disappearance of your brother in a whole new story. + Sympathize with the members of your house to win the Four Houses Cup.